"Love this book! 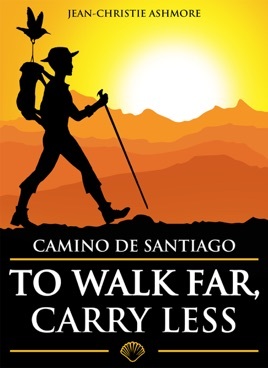 My Bible for the El Camino..."
The classic book used by thousands to learn what you should take on a Camino journey. • Pros & Cons for difficult gear choices (poncho or rain jacket? water bottles or pack hydration system? sleeping bag or sleeping sheet? Jean-Christie Ashmore has walked over 3,200 kilometers (about 2,000 miles) on Camino pilgrimage routes in France and Spain.